This is the earliest peanut I have found. The name is simply “Black” although I believe it may be what is known as the “Carolina Black Peanut”. These did well here in Northern Indiana. Slightly smaller than the Schronce’s Black but good yields. Black skinned with a sweet flavor. If this is the “Carolina Black” then it possibly dates back to the 1800’s. The “Carolina Black” is also known as the “North Carolina Peanut”. In Northern Indiana, I would plant no later than the last week of May. Peanuts can be started as plants indoors or direct seeded after all danger of frost has passed. Remove the seeds from the shells before planting. Sow 1″-2″ deep and 6″-12″ apart in rows or beds. Peanuts are slow to germinate, so be patient. 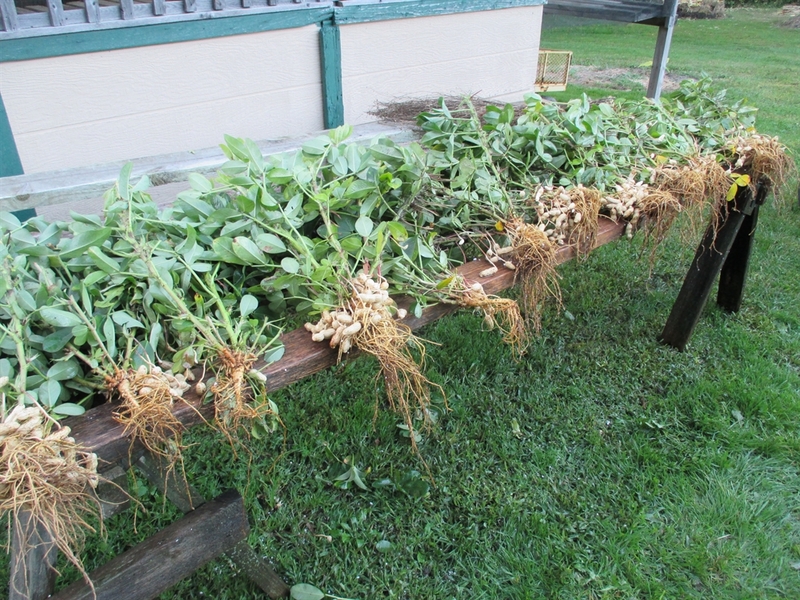 Once the plant emerges keep well- weeded as peanuts grow slowly at first. By mid-summer, the plants will begin to flower and tendrils (fruiting penduncles) will emerge from the bottom of the branches and bury themselves into the soil. Each of these penduncles will grow into a peanut. At this time be careful when cultivating so as not to disturb or uproot the penduncles. 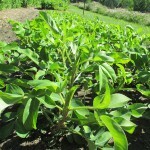 When the plant nears full maturity the leaves will begin to yellow. Some years I have had to pull my plants before this happens because of an early frost. Your yield will be less than at full maturity, but still well worth the effort. 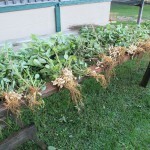 The harvested plants are laid out on benches and the peanuts sprayed with water to remove dirt. Allow to dry in the sun for a few hours, then bring the plants into a shed to dry for a week or so. 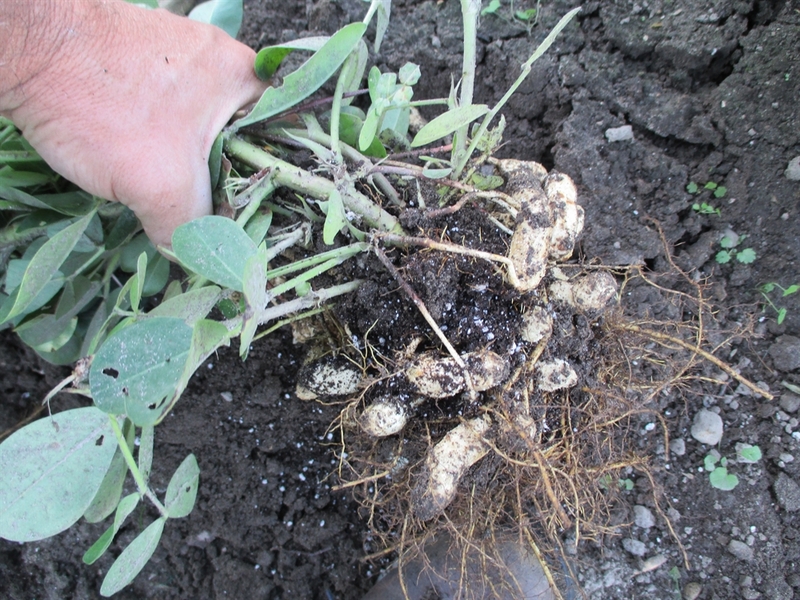 When the plants are fully dry it is easy to remove the peanuts. Bring your peanuts indoors for another 4-6 weeks to continue the drying process before storage. Peanuts for eating or seed should be stored in their shells. The Black peanut should be hilled up to increase yields. Seed Saving: Isolate peanut varieties by 1 mile for pure seed. An alternative is to cage different varieties grown in close proximity. *Peanuts are sold in the shell.